NEW! 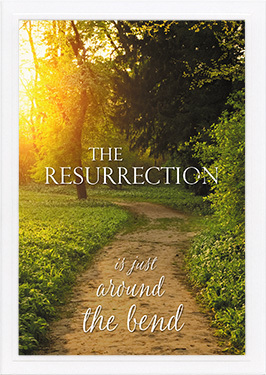 FRONT: The resurrection is just around the bend INSIDE: "I have hope toward God, ... that there is going to be a resurrection. 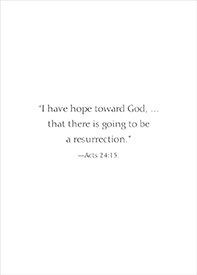 "-Acts 24:15. An attractive embossed white border nicely frames the high-gloss UV coated picture on the front. Size: 5" x 7" folded.